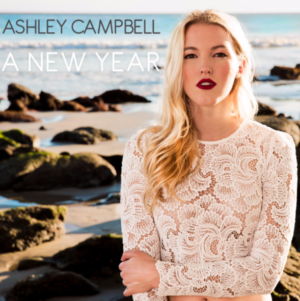 Ashley Campbell has been poking her head into the country music world the last few years. And the early sounds have been very good from this promising country singer. Just in time for the New Year she put out a new song titled, New Year. It looks like there is an album coming out later this year. It looks like there is a major label behind it too. So this could turn into something. It sounds like she’s ready. Give this one a listen and see what you think. I really like the sound of this one. It’s almost like a beach-type sound. Kind of chilling on the beach contemplating life and all that goes into it. The good. The bad. The future. And that seems to be what the lyrics are about. I thought that maybe there was a love angle going on in this one. Maybe there is. Some of the lyrics seem to be about love. But I think it’s more about personal improvement. Taking the new year as a time to make changes. And hopefully not just looking at the next year, but making changes for the really long-term. Thinking about changes today that will affect oneself 20 or more years from now. Anyway, I think this is a sound that can work on the country charts in the coming months. It sounds professional. A little pop. Still a little country. I’m curious to see how country fans react to this one. I like it.